What started out as a blockchain-powered, decentralized Dropbox has evolved into an enterprise storage system with real venture capital backing. 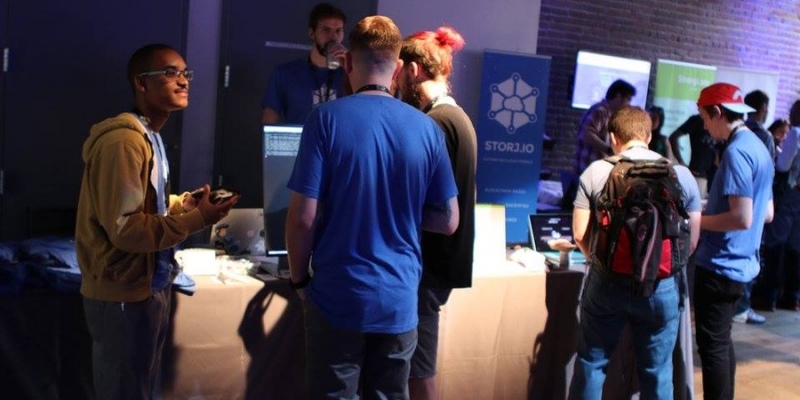 Atlanta-based Storj Labs announced today it has raised $3m in seed funding as part of a round that saw contributions from individual investors employed by VC firms including Google Ventures, Qualcomm Ventures and Techstars, according to the company. The funding marks the first time that Storj Labs has raised outside capital, following a blockchain token sale in 2014. The funding is also notable for a startup that counts itself among an early set of firms working in the so-called ‘crypto 2.0’ space, the early movement aimed at applying blockchain technology to non-financial applications and use cases. In this light, CEO Shawn Wilkinson said the funding marks the end of a long run of experimentation that has seen the company, now 13 employees strong, iterate a fledgling idea into one that can now leverage experimental technology to secure corporate partnerships. More concretely, the funding will help Storj continue to build out its peer-to-peer file storage marketplace to support more partners the size of cable provider Cox Communications, which inked a deal with the startup in December of last year. Storj’s technology works by enabling an open network of users to provide data hosting to its clients via a blockchain – a service that the startup then sells to clients like Cox using a traditional software-as-a-service (or SaaS) model. Participants in the network then earn a digital token called ‘storjcoin’ (SJCX) for offering their computers and storage capacity. Yet, while Storj has pursued a more traditional path toward venture investment, it was also one of the first to seek to raise funds by leveraging the ability of blockchains to offer a distribution mechanism for provably scarce digital code. An early adopter of the so-called ‘initial coin offering’ or ‘ICO’ model, Storj initially funded its ideas by selling Storjcoin X (SJCX), a digital asset it used to raise $460,000 and that today has a market capitalization of $6.49m, Coinmarketcap data shows. But while the startup’s services are tied to the voluntary public community that finds value in this code, Wilkinson said he isn’t worried about the ability of his SaaS offering to scale. Going forward, Wilkinson said that Storj plans to focus on more platform integrations, making its service more widely available and bringing more value to participants. For instance, Storj recently revealed that its technology now works on web browsers, and in December, it added its tools to the cloud application platform Heroku – both ways that the company is aiming to expand its audience. The use of an open network, however, creates some interesting dynamics, Wilkinson acknowledged. Although, he argues that his company has succeeded by managing them and offering value-added services that could only be created through the use of a blockchain. “We came to the conclusion in 2015 that that’s really powerful, having an open market for the storage,” he explained.